Forget Banksy, is Blu the best street graffiti artist in the world? 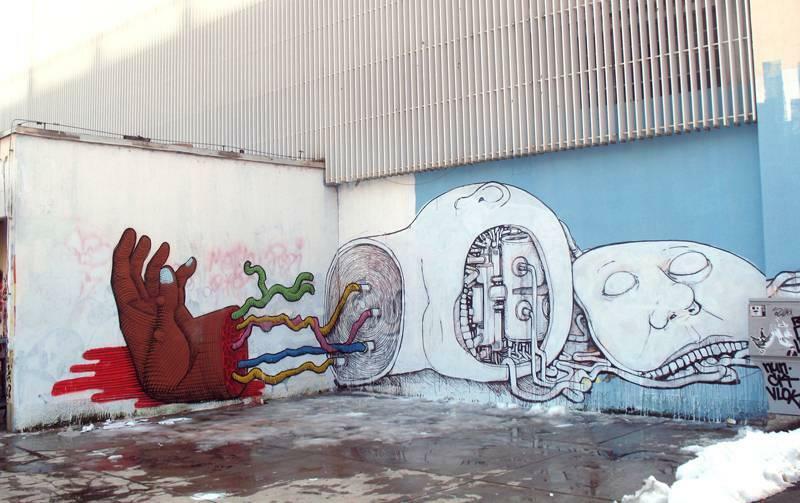 This epic animated graffiti is mind-blowing. Like Banksy, Blu is a pseudonym, used to conceal the artist’s real identity.lll that is known is that the artist is Italian and is thought to live Bologna. This epic piece celebrate the origin and evolution of life.